An essential aspect of successfully navigating any foreign language is vocabulary acquisition. Acquiring the ability to comprehend, recall, and use vocabulary takes time and practice. As a vocabulary-building resource, 800 Words and Images is strategically arranged to assist students in gaining competency and fluency in Koine Greek. Divided into ten sections, this work links together nearly eight hundred words from the New Testament with helpful visuals. In addition, audio files for each section have been created so that students can listen while interacting with the book. Research from the fields of cognitive linguistics, neurosciences, and mental representation theory show that when images and sounds are combined in the process of vocabulary learning, retention is dramatically increased. 800 Words and Images utilizes this research for the purpose of helping and encouraging Koine Greek students. 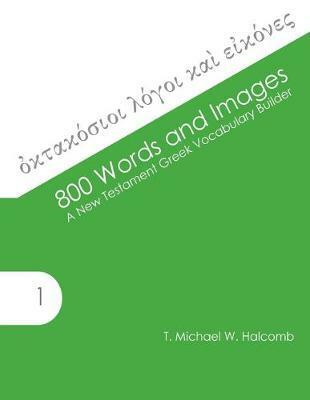 All learners, whether autodidacts or participants in a classroom, can use this work to bolster their New Testament Greek vocabularies.